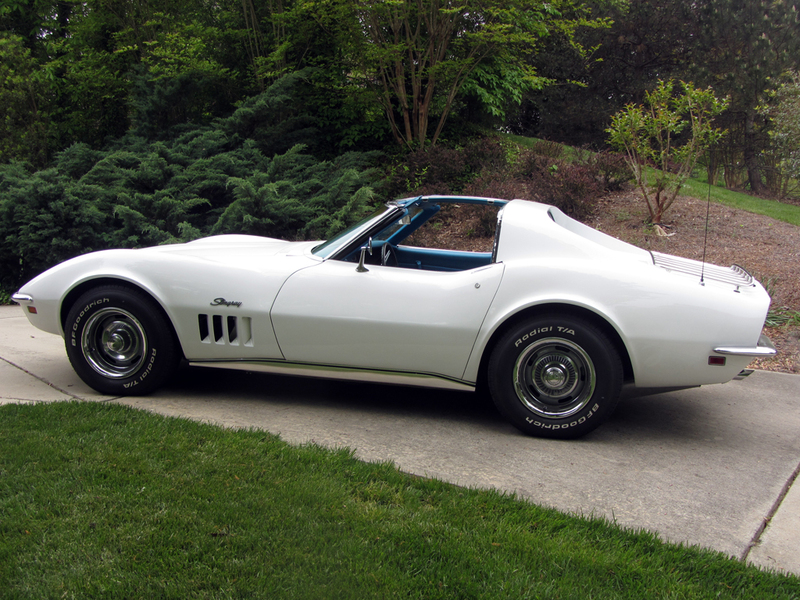 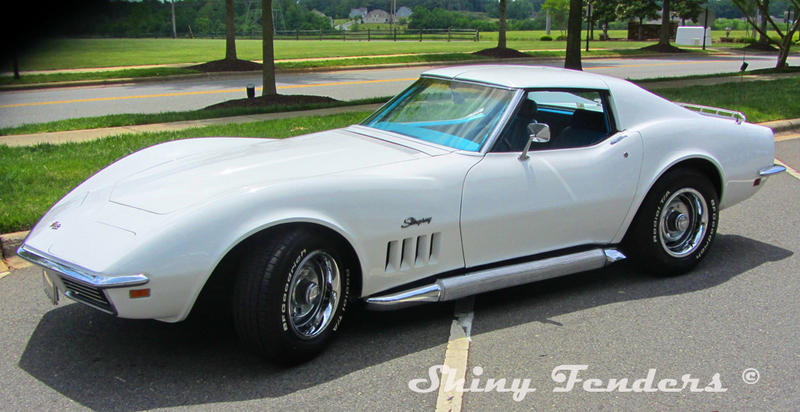 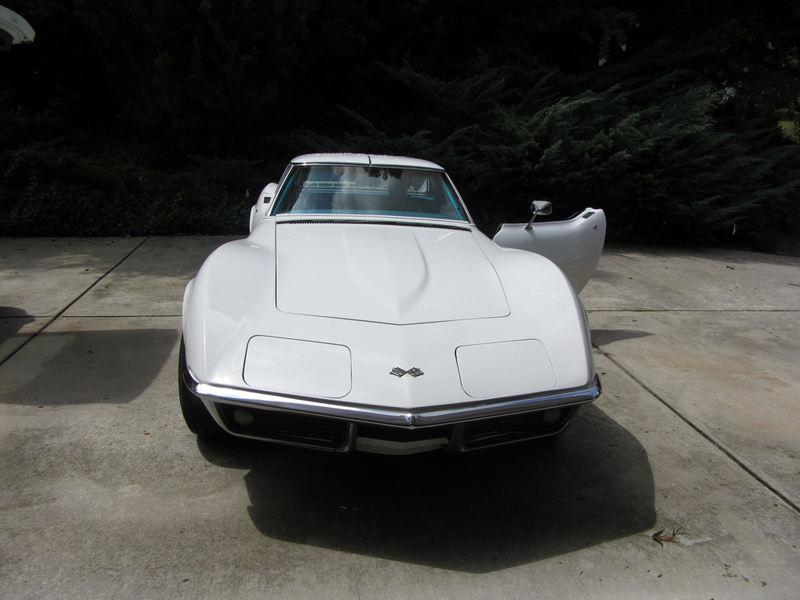 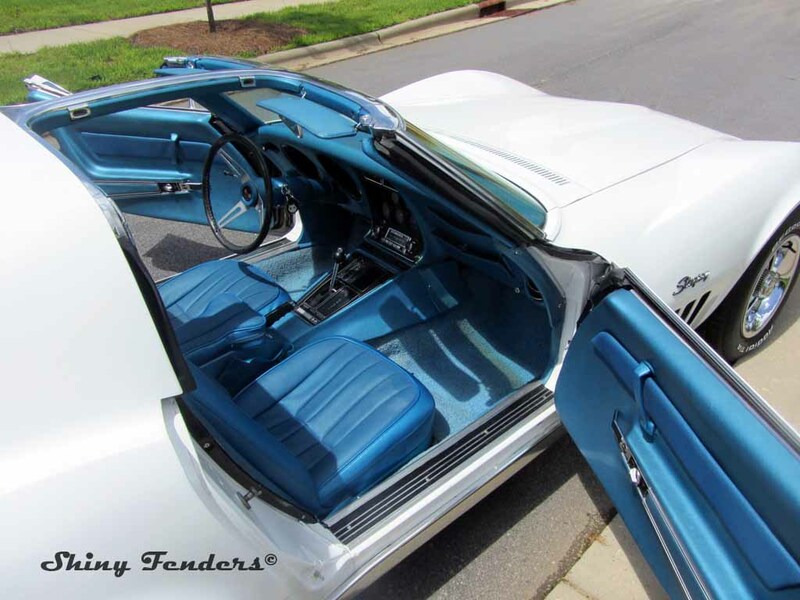 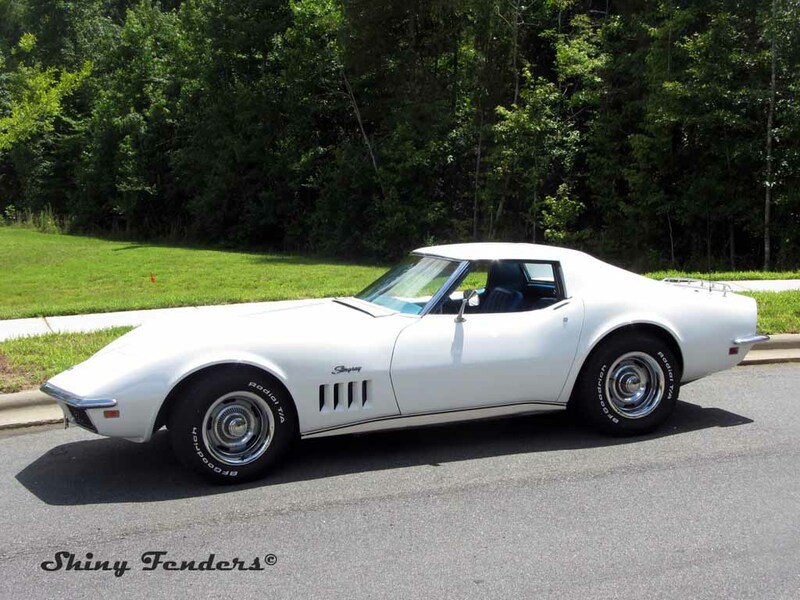 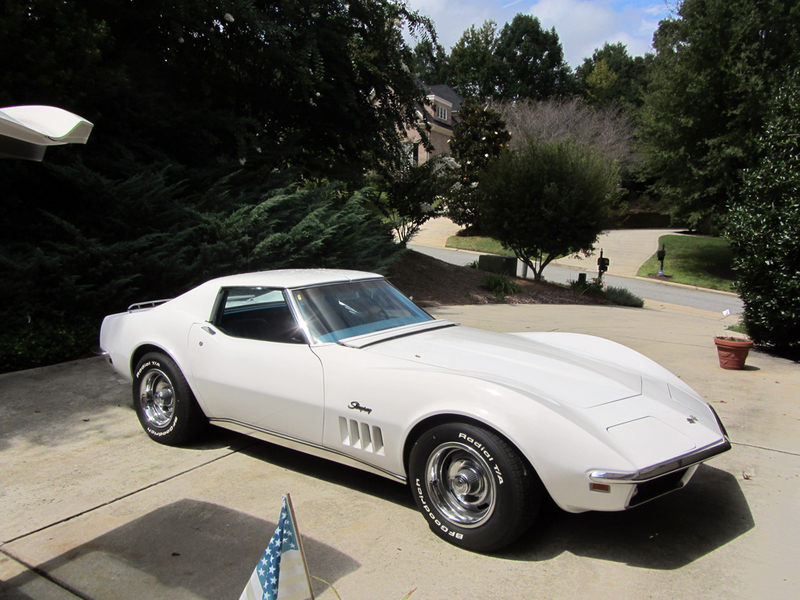 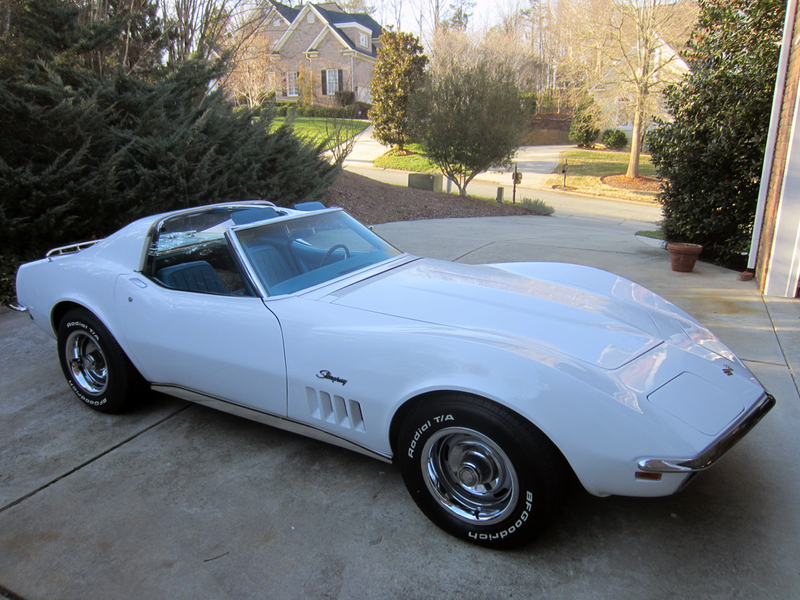 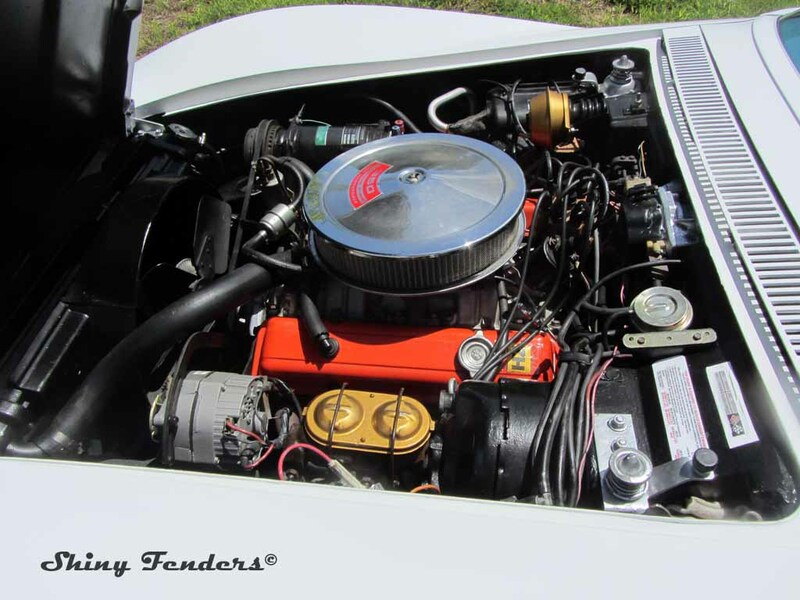 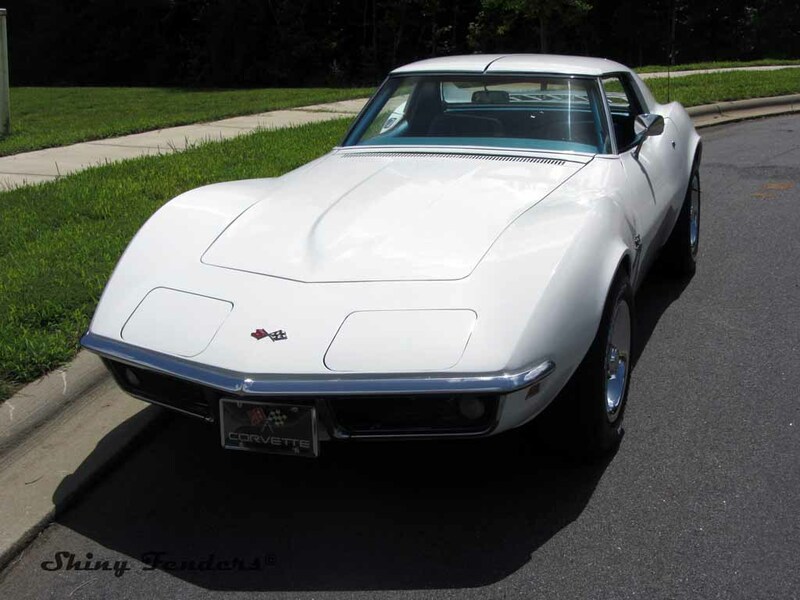 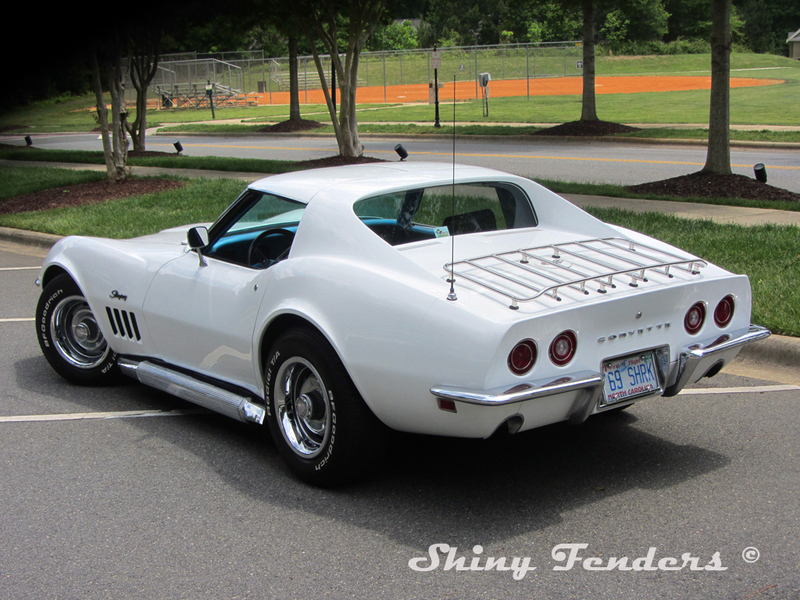 It’s a 69’ Stingray Coupe Can-Am White W/Bight Blue interior. 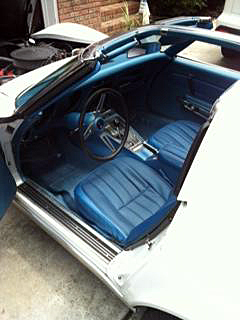 It’s had a fair amount of interior restoration and the paint is old but shines. 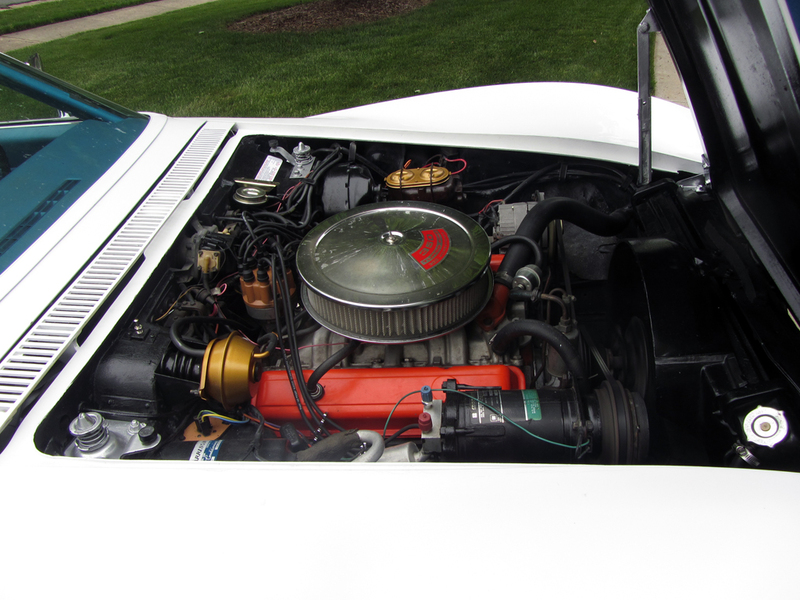 It’s a numbers matching 350/300HP short block with aluminum heads and an automatic transmission. 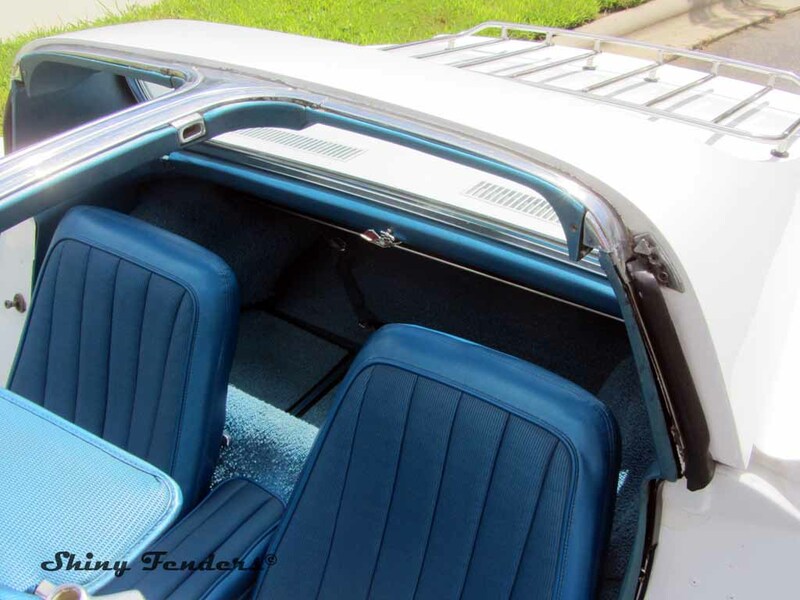 Finally made some decisions on getting new Hedman Side Pipe Headers to attach the Allen chambered side pipes. 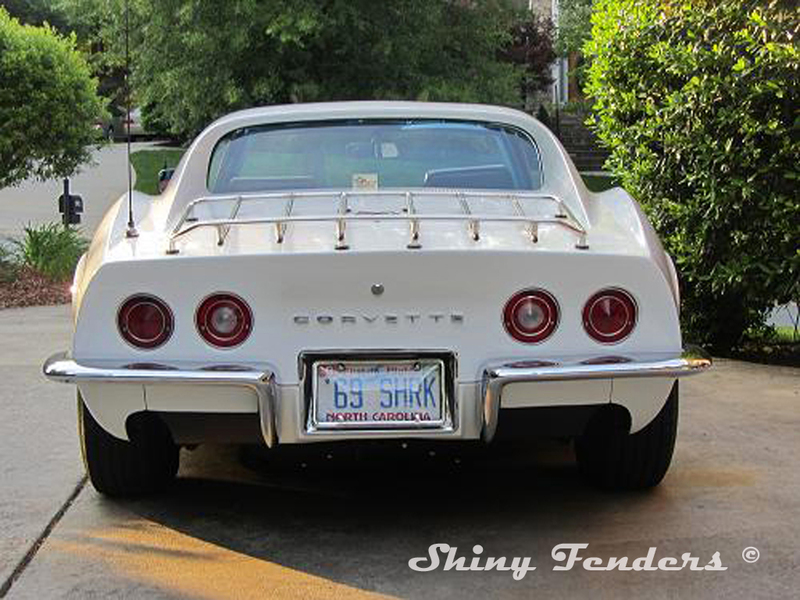 They sound great and look good with the used GM covers I got. 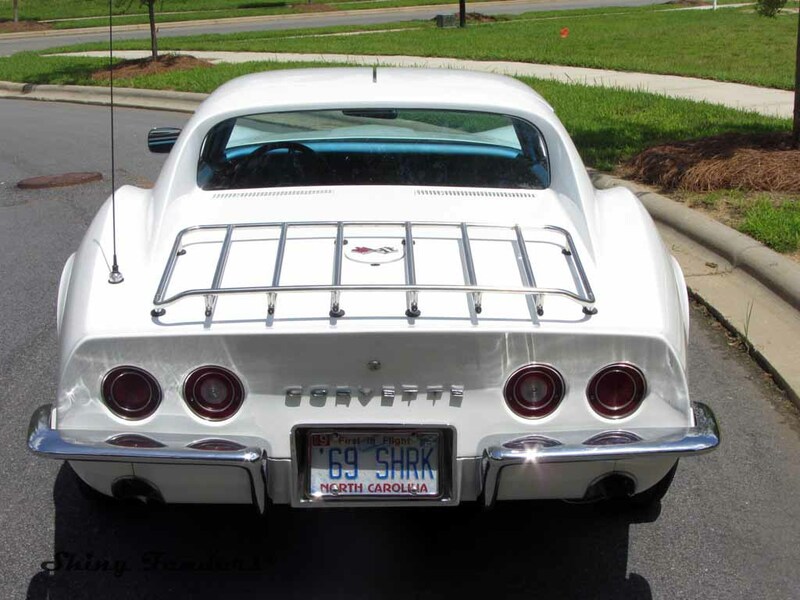 I haven’t had this much fun driving a car since I cruised Atlantic Ave in Virginia Beach in my ’57 Chevy W/Glass Packs in 1965!